Stand by everyone, it's February, it's birthday time and that can mean only one thing - it's epic. There are so many to get through, you need to start on the cake now just to keep the energy levels up to make it all the way to the end. We've got a king, a Crown Princess and a queen in waiting all lining up to celebrate so get ready to party, royal style. It's going to be exhausting. Stephanie Marie Elisabeth of Monaco, Countess of Polignac was born on February 1st 1965 in Monte Carlo. She is the youngest child of Prince Rainier III and Princess Grace and currently tenth in line to the Monagasque throne. That will change this year when her nephew, Pierre, welcomes his first child. Stephanie was famous for her singing, fashion and romances but is now just as well known for her charity work. Mary Elizabeth Donaldson was born on February 5th 1972 in Hobart, Tasmania. She is the youngest child of John and Henrietta Donaldson and became Crown Princess of Denmark on her marriage to Frederik, heir to the Danish throne, on May 14th 2004. Since then Mary has developed a reputation for taking on the tougher issues - her Mary Foundation helps those affected by domestic violence and bullying and last year she took a leading role in a major conference on women's rights. Marie Agathe Odile Cavallier was born on February 6th 1976 in Paris. She is the only child of Alain Cavallier and Francoise Grassiot. She became a princess of Denmark on her marriage to Prince Joachim, second son of Queen Margrethe II, on May 24th 2008 and carries out a wide range of public engagements. To mark her 40th birthday last year, she gave an interview in which she famously said she hadn't spent her youth waiting for a prince to marry her. Don't mess with Marie. Louise Sophie Mary of Belgium was born on February 6th 2004 in Woluwe-Saint-Lambert. She is the eldest child of Prince Laurent, youngest son of King Albert II and Queen Paola of the Belgians, and his wife, Princess Claire. Louise is currently 11th in the line of succession to the Belgian throne and takes part in occasional royal engagements. A personal favourite and it's hard not to love this birthday royal. Astrid Maud Ingeborg was born on February 12th 1932, the second daughter of Olav and Martha, then Crown Prince and Princess of Norway, Like her sister and their Scandinavian female cousins she had no succession rights at the time and didn't acquire them when the laws were changed. But she did act as de facto First Lady of Norway during the early part of her father's reign - her mother died before Olav took the throne. Astrid married Johan Martin Ferner in January 1961 and the couple had three children. 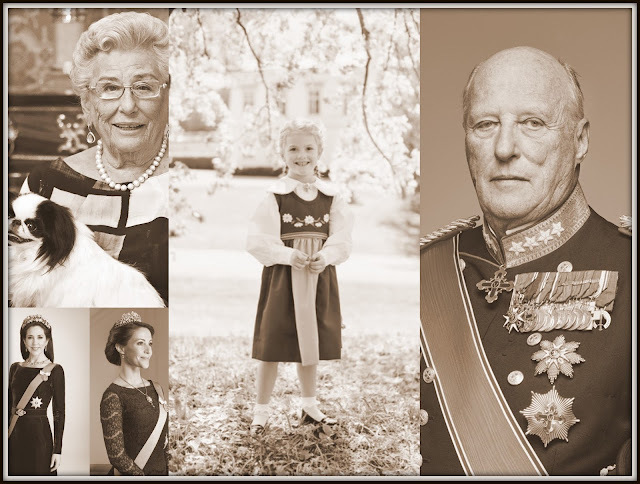 Princess Astrid still takes part in royal events in Norway and will no doubt be cheering as Harald blows out his candles a little later in the month. Alexandra Josephine Teresa Charlotte Marie Wilhelmine was born on February 16th 1991 in Luxembourg. She is the fourth child and only daughter of Grand Duke Henri and Grand Duchess Maria Teresa. Born with no rights to the throne, she entered the line of succession in 2011 when absolute primogeniture was adopted and women finally got a look in. Princess Alexandra was third in line then - she's now fifth. Marijke Christina, youngest daughter of Juliana of the Netherlands, was born at Soestdijk Palace on February 18th 1947. Born with serious eye problems after her mother contracted rubella in pregnancy, Christina was just one when Juliana became Queen of the Netherlands. She is a talented musician. She gave up her rights to the throne to marry Jorge Guillermo in 1975. The couple had four children before divorcing in 1996. Princess Christina now lives in London and Italy. Stephanie Marie Claudine Christine de Lannoy was born on February 18th 1984 in Ronse, East Flanders, the youngest child of Count Philippe de Lannoy and his wife, Alix. Educated in Belgium, France and Germany, she married the future ruler of Luxembourg, Guillaume, in October 2012 and has been subject to intense stomach watching ever since as royal fans await a royal baby. Stephanie can look forward to another year of pregnancy rumours as she turns 33. Andrew Albert Christian Edward, Duke of York, was born on February 19th 1960 at Buckingham Palace, London, He is the second son and third child of Queen Elizabeth II and the Duke of Edinburgh and was the first child born to a queen regnant for over 100 years. He was made Duke of York on July 23rd 1986 when he married Sarah Ferguson. At the time of his birth he was second in line to the throne - he's now sixth but this time next year he will have hopped down to seventh after the arrival of baby Cambridge number three. He's also got the small matter of his younger daughter's wedding between then and now - Princess Eugenie will marry Jack Brooksbank this autumn at Windsor. How did that happens? Little Leonore is suddenly approaching the end of toddlerdom. The princess of New York, Leonore Lilian Maria of Sweden, Duchess of Gotland was born on February 20th 2014 in the Big Apple. She is the eldest child of Princess Madeleine of Sweden and her husband, Chris O'Neill. Leonore is eighth in line to the Swedish throne and is about to get a brand new baby brother or sister as Madeleine is expecting a third child, due in March. Harald was born on February 21st 1937 at Skaugum, just outside Oslo, the youngest child and only son of Olav and Martha, then Crown Prince and Princess of Norway. On January 17th 1991, on the death of Olav, he became King of Norway. Harald has always been a popular king but his support has soared in the past years after hugely successful Silver Jubilee celebrations, massive 80th birthday events which saw thousands turn out to wish him well and a famous speech in which the King of Norway encouraged everyone to be more tolerant and help each other. It won him praise around the world and quite right, too. Harald is a gem whichever way you look at it. Sit down, there's a long name on its way. Amedeo Marie Joseph Carl Pierre Philippe Paola Marcus d'Aviano of Belgium was born on February 21st 1986 in Woluwe-Saint-Lamber. He is the eldest child of Princess Astrid of Belgium and her husband, Lorenz, Archduke of Austria-Este and the eldest grandchild of King Albert II and Queen Paola of the Belgians. He gained succession rights in 1991 and is currently sixth in line to his country's throne. He married Lili Rosboch in Rome in 2014 and the couple has one daughter, Anna Astrid. Katharine Lucy Mary Worsley was born on February 22nd 1933 at Hovingham Hall, Yorkshire. She is the only daughter of Sir William and Lady Joyce Worsley. She became the Duchess of Kent on June 8th 1961 when she married the Queen's cousin, Edward, Duke of Kent, at York Minster. She retired from public life in the early 2000s and has since asked to be known as Katharine Kent or Katharine, Duchess of Kent. She will forever be best known to a whole generation as the royal who presented the Ladies Trophy at Wimbledon and let the much missed Jana Novotna weep on her shoulder. Yes, it's the birthday that makes February smile. Estelle Silvia Ewa Mary of Sweden, Duchess of Ostergotland, was born on February 23rd 2012 in Stockholm. She is the first child of Crown Princess Victoria of Sweden and her husband, Prince Daniel, and has been second in line to her country's throne from birth. She will one day be Queen of Sweden. And she will also star in the now regular marvellous Estelle birthday photos that everyone will be waiting for as the end of the month approaches. That's a very happy birthday indeed. Another month, another glossy mag with a princess as its star. After Kate did Vogue and Mary did Vogue (again), this time round it's Eugenie doing Harper's Bazaar. The seventh in line to the throne features in the US September issue of the magazine, looking very glamourous while she's at it. Ten years ago today, the world got its first glimpse of one of the most keenly anticipated dresses of 2004. And it divided opinion. 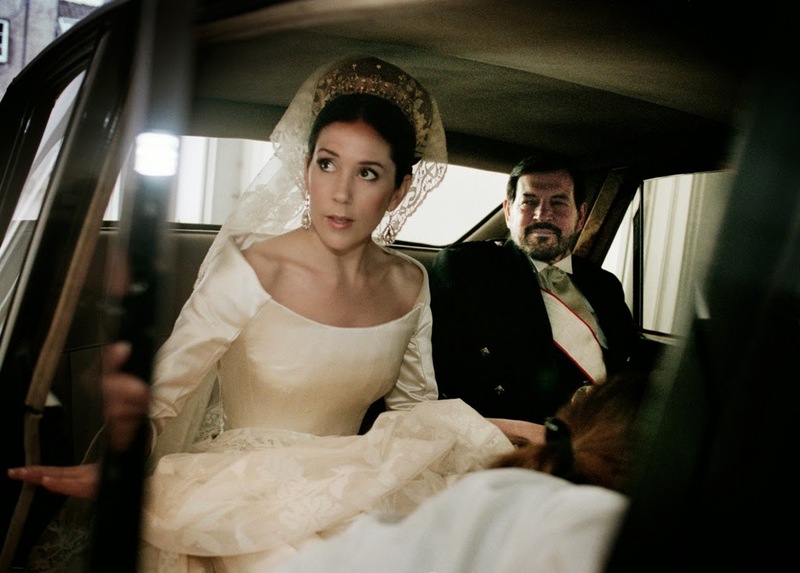 When Mary Donaldson stepped out of the car taking her to her wedding on May 14th 2004, her ivory gown was an instant hit with many but for some its nod to history made it a bit too character filled to work. But in the decade that's passed, it's become a classic and one of the royal wedding looks that has really stood the test of time. It was the work of Danish designer, Uffe Frank, and was made of duchess satin. The first glimpses of the dress showed off the scoop neckline and closely fitted sleeves. The bodice ended in a slim waistline that gave way to a full skirt as the bride emerged from the car. On July 17th 1917, George V issued a royal proclamation changing the name of his royal house and family to Windsor. It was the beginning of dynasty that would set records and change the concept of modern monarchy. And it's a house built on and by women. We've already met some of them when remembering the consorts, now we turn to the royal daughters. Four women have been born to the monarchs of the House of Windsor, all of them hugely important. 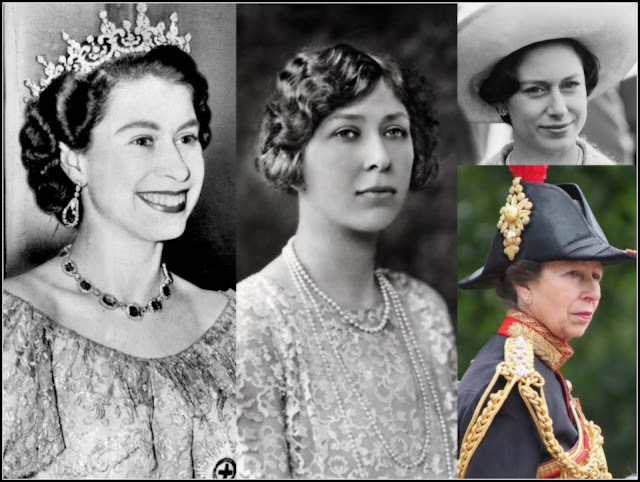 As we mark the centenary of this special dynasty, here are the daughters of those who have worn the Crown.